The exchange of business card is a longstanding networking ritual. 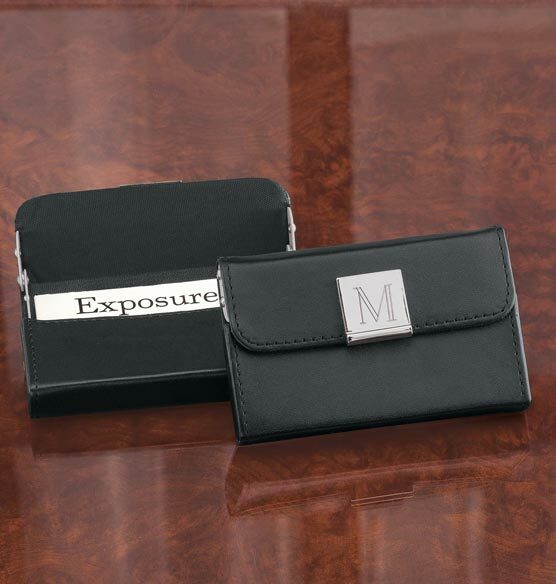 This leather case makes the presentation an elegant experience, with a unique hinged design that lifts each card up as the case is opened. The monogrammed initial on the metal closure adds a personal touch. Perfect gift idea for the professional in your life. I happened to find this business card case while searching for something else on Miles Kimball's website. Figured it would be the perfect gift for my daughter, who has just graduated college and has her own business started. It is well made and love the feature that when you open it, the business card pulls up for easy access. 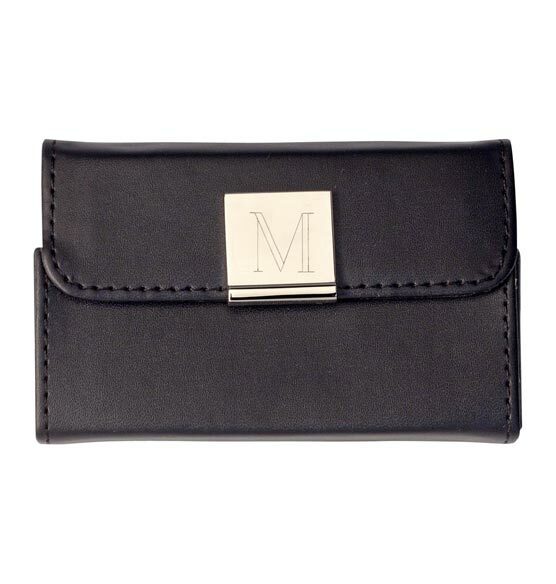 The color black goes with everything and a bonus initial on the front to personalize it. Great idea! !